Stephan Walcher (MD) is a GP, specialising in anesthesiology, intensive care and addiction medicine. Since 1985, Stephan has practiced in anesthesiology, intensive care, pain-therapy and internal medicine, specialising in addiction medicine from 1993. Since 1994, he has run the CONCEPT-Center for Addiction Treatment, integrating the treatment of infectious diseases, psychosocial support, psychiatry and general medicine surrounding substitution treatment. Stephan Walcher introduced ultra-rapid opiate detoxification in general anesthesia, ‘UROD’ in Germany in 1995. 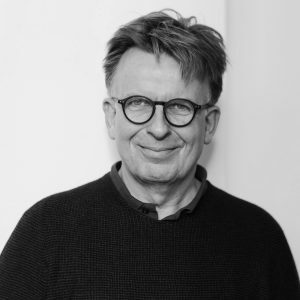 From 1995-1999 and 2011-present, Stephan has been the chair of the German association of Addiction Medicine, and also cofounder of the Bavarian Academy of Addiction ’97, WFTOD ’07, Board of Directors, EUROPAD and others. He received the Nyswander-Dole-Award of the AATOD in 2012. Stephan Walcher has conducted international and national studies, mainly focusing on hepatitis and addiction treatment. He has performed over 500 presentations and seminars on detox, hepatitis, addiction, substitution treatment, sexual dysfunction, prescription drug abuse, differential therapy, naloxone, drug checking and emergency since 1995.